So, you want to develop a mobile application like UBER. Great! 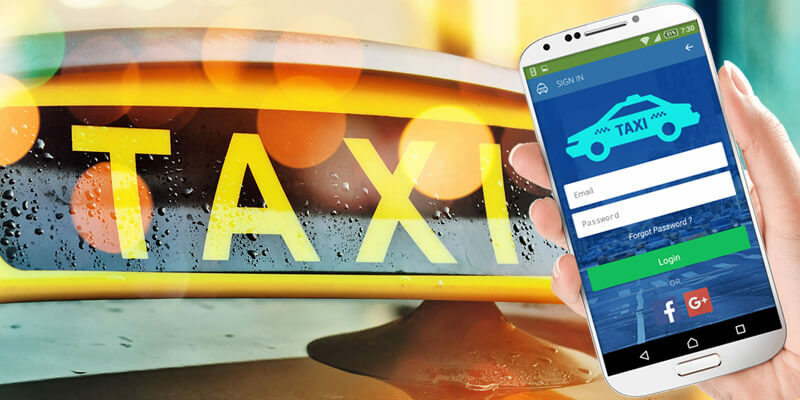 You also are willing to venture in the sea of opportunities that taxi booking apps are offering to the startups nowadays. And you are well aware of the fact, that beyond in doubt, UBER has rightly been regarded as one of the most successful billion dollar Startup in the current scenario. Eight years ago when Travis Kalanick and Garrett Camp founded this company in March 2009, even they wouldn’t have expected that it would turn out to be such a popular venture. Indeed the mammoth success of UBER has truly inspired a number of young talented individuals who cherished to create something similar and achieve the same feat as the UBER. 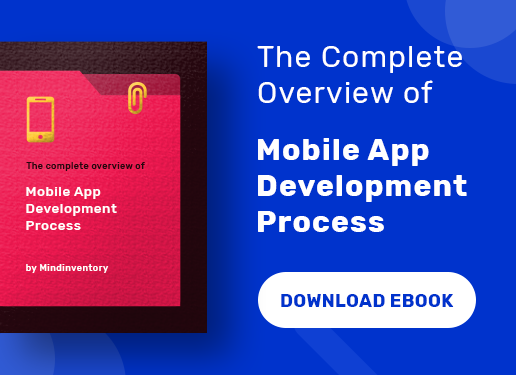 That is why young minds have already begin to search vital keywords that include – how to build an app like UBER or what does it cost to make an app like UBER. 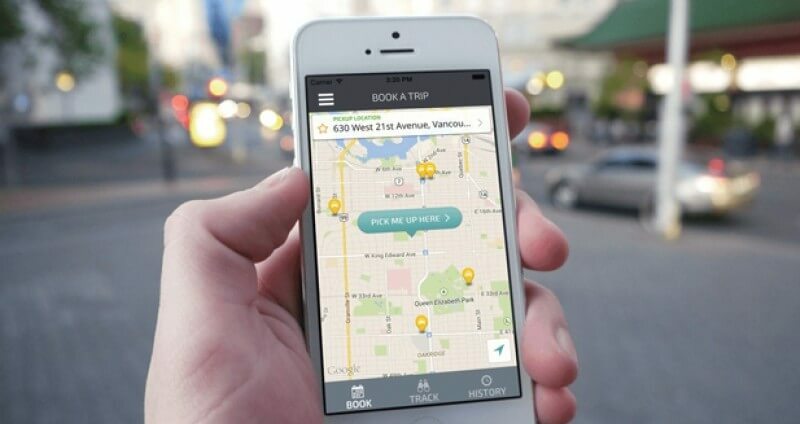 In fact, some of the people have started exploring for the best affordable app development company that can splendidly develop a taxi booking app within their budget estimate. The taxi booking apps like Ola, UBER or Grab have certainly changed the way of traveling and enhanced their experience. It has made the journey more comfortable wherein you can book the cab services from anywhere and it will arrive within a span of few minutes. Moreover, some companies like Ola have even started offering the offline booking services in case the customers don’t have internet in their phone. First of all, the customer will need to login or register through email ids or through social media platforms. They can also enter their banking and card details for making payments. You need to offer the customers a booking interface page where they can enter the details regarding the journey including the destination. It allows the customer to get an estimate of the total fare of the ride before booking the cab. You need to provide the cab selection option to the passengers so that they can choose the type of car they want to travel in, including the price per kilometer or price per minute. Passengers will be wanting to track the location of the driver and know after how many minutes the cab will arrive. Customers have become smart and they also go through the ratings or review of the cab driver. Once the cab arrives, the driver contacts the passenger and gets exact details about the pickup spot and drop in place. On the completion of the ride, the passenger receives an automatic payment slip and all payments are cashless. Later an invoice is also sent to their registered email id. This allows the users to access their previous booking history and they can make the booking on the same route again through it. For instance, from office to home and vice-versa. This feature is similar to that of the passenger app. It also comprises the full details of the driver including his complete profile and updated status. This is important for the verification process and also includes their license number. It will also tell the recruiter when they will be available. It instantly alerts the driver as soon as passenger in the nearby location books the cab. He has to reach the spot taking the shortest possible route. It is connected with the Navigation app such as the Google Map so that the driver can reach the exact destination in shortest possible time. Gives an estimation of the fare of the ride with discount coupons if any. Recently many cab booking companies initiated this facility wherein the passenger can share the cab with the others. In such a case the bill generated during the journey gets shared amongst them. But the response is not good. It is a quick report that mainly highlights the stats, earnings and payroll during the trips. Some people prefer to travel with a particular driver with whom they have good experience. So, you can work on that request. Now before you plunge into the ocean it’s important to get some pre-instructions that will help during the development process. The first thing you need to know why is it essential to implement the admin panel. Second, it is also vital to note down and understand the technology stack that works behind the smooth operation of apps like UBER. 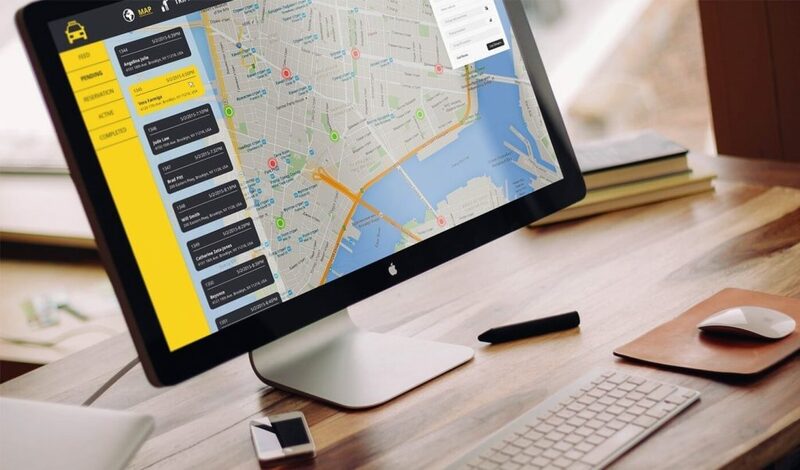 The Admin Panel is often said to be the backbone of the taxi booking apps. It is a place which helps in seamless running of your business and manages every information including the app reviews and ratings. It is a strong tool that will help you to guide the drivers and suggest the navigation routes and also maintain your collection of the revenues. You can also gather information about your customers through the reviews and feedbacks and work on further improvement in the app. In addition it will also assist you if you are planning to expand your business like UBER did to other cities or countries. Therefore, first develop an admin panel. Now we come to the second point which is the working procedure of apps such as UBER. Most of the people are already familiar with it; but still recapitulate it. The user or client clicks to your app after downloading and install it. He fills in the login details, his email id. He has to fill in the destination location and the place from where he would commence the ride. Then he is asked to choose the type of car (e.g. sedan or Suv). Once this is done you have to send him the details of the nearest available driver and time taken for cab arrival. In most cases the cab arrives within one or two minutes of booking if it isn’t a rush hour. After the ride is completed, an automatic fare is generated and you have to pay it online using your card or net banking. 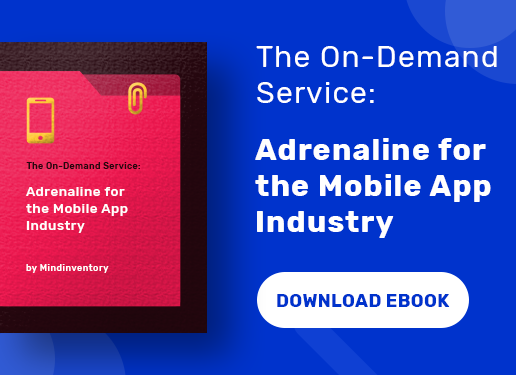 You must ask the customer to rate your app on how he felt using your services. It is highly recommended to opt for the native app for developing an app that is similar to UBER. 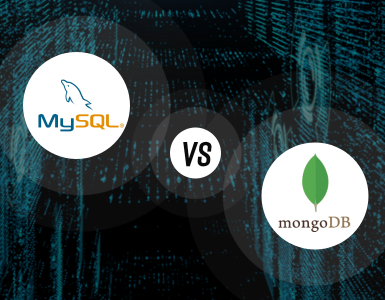 Native apps offer various advantages including performance and scalability. The cab providing services apps such as UBER or Ola usually depend on the Global Positioning System (GPS) technology to locate the current position of the customer. However, it needs to be understood that the GPS technology for both the iOS and Android Operating systems are different and so it becomes pivotal to first get some knowledge about it. For the iOS Phone users, it is suggested to make use of the CoreLocation Framework, which offers classes and protocols, configuring and scheduling the exact spot. The location details are send to the server. It will also help in understanding the geography of the particular place and keep an eye on the device’s movements. In the case of Android OS, you need to use Google’s Location APIs. This assists in smartly tracing the location and so it has to be developed properly. For offering specific directions, the Apple iOS has developed MapKit. It helps in detecting the point to point direction while driving the car. You have to install the app and after registration, the directions will be made available, displayed by the mapping app software. As far as Android is concerned, one makes use of the Google Maps Android API. Initially companies like UBER made use of the Google Maps for tracking the location for both iOS and Android based phones. But with the advent of iBeacon technology and Bluetooth Low Energy services, mapping for iOS has become easier. And you must not only rely on Google Maps but try out other mapping technology with other companies as in the case of UBER. All in all geo-location services is the most vital technology that needs to be necessarily implemented. If you want to know the development cost as well as the time taken for developing it; it will vary from developer to developer. It may cost you $3600 – $6600 or $20 – $30 per hour. The development time is somewhat around 180 to 220 hours. Well, to start off the registration, login or user profile is one of the most essential feature found in the taxi booking app. And this feature is available both in passenger as well as driver’s app. If a user is using the app for the first time, he needs to fill in some details and provide his registered email id and mobile number. This becomes all the more important in the case of the drivers because they are verified through the details provided. It is via the login page only that helps companies like UBER to prepare a database of its clients. During the initial stages, you can allow ‘no profile’ booking or you can request the customer to create his profile. You can ask the user to use social media to make his bookings. You need to ensure the user that all his data provided will remain resumed and shall not be shared. For the driver, you may ask the photo id and necessarily scrutinize his driving license before appointing him. You may also implement the rating and feedback section to enhance the customer’s satisfaction and ask them to rate the ride and behavior of the driver. For developing this feature of the app, it usually takes around 100 to 120 hours and the price may range from $2000 to $3600. We all know that the entire payment integration of taxi app companies like UBER or Ola is purely cashless. The customer has to either make the payment through debit or credit card or through online payment companies like PayPal or Paytm in India. You can also use your promo code to avail special discount offers. This is a safe mode of transaction. In fact, when the user makes a booking he gets an estimate of the fare in advance, which makes it easier for him to take a call whether to avail the ride or not. Then there is dynamic pricing, in case the booking is overcrowded and availability of the cab. 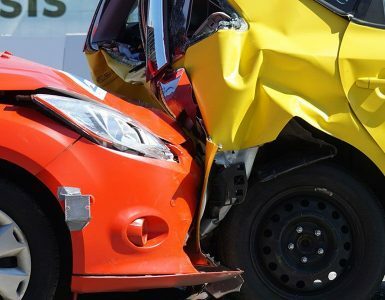 One needs to focus on four important aspects for payment integration including the base price, cost per kilometer, and cost per hour or minute as well as safety charges. Apart from that it is mandatory for all the cab booking companies to follow certain regulations while accepting the payments. 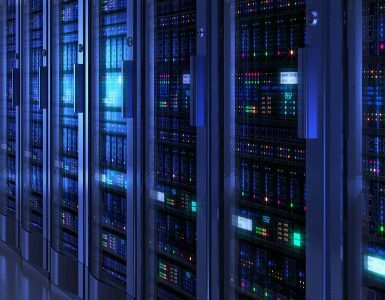 This is basically related to the data security standards under which all companies are expected to develop a much secured storage to store all the confidential data regarding the payment. The card information should be highly protected. Even the dynamic pricing is gaining the prominence as people are not hesitant to pay extra fare for availing the taxi services. This indeed is a good sign. The iOS users can make of the Apple Pay for making the payment and the Android users can use the Google Wallet for the same purpose. It will be better if you tie up with some online payment company such as Paytm to make the experiences better and faster. For the time taken to develop payment integration the developer may need 130 to 160 hours and the cost is about $2600 to $4800. When you are booking the cab, you may get a couple of notifications from the company or message from the driver regarding the pickup point or drop-in location. You can also receive a notification if due to some reason your ride gets cancelled. You may choose to receive these messages either via SMS or through the push notifications. In fact, you can also implement a smart chat based app like the Whatsapp but it will consume much time. You need to send a standard push notification informing about the details of the driver as well as the estimated time of car arrival. Email notifications have become the tricks of older days. Besides that the customer also gets informed about the price surge or premium pricing when there is shortage of drivers or cabs or during the peak hours. Now for the iOS phone users you can use Apple Push Notifications Service, but there is no surety on whether the notifications will be delivered or not. And for customers hooked to Android the preferred choice is Google Cloud Messaging (GCM). As far as the time span is concerned, it may take 40 hours for the push notifications and 20 hours for implementing SMS. And the cost would turn around somewhat $1200 to $1800. You obviously want your app to stand out in the crowd. Therefore, you have to pay attention towards designing an eye-catching UI and UX. It should be simple but sophisticated. The user should easily comprehend all information even if he is using it for the first time. Primarily, you can focus on simplicity, familiarity, clarity and digestibility. The development may take a minimum of 160 hours for the median design, 60 hours for the UX design and 100 for the UI design. The estimated cost would come around $3200 to $4800. This is a good question. You obviously will be wanting to know how much profit you can expect after investing a good sum of money into this business. Well, it won’t be fair to compare your cab services with that of UBER because the latter has already established its goodwill into the market. Anyways, still if you want to know then the profit is very less somewhat around $0.19 per ride. It is because most of its earnings goes into interest, taxes, expenditure on software development and so on. But even then its revenue stood out at $6.5 billion in 2016. The choice of the platform for both the Android and iOS phones. You will have to pick between hybrid and native app. Your budget estimate is also very crucial. 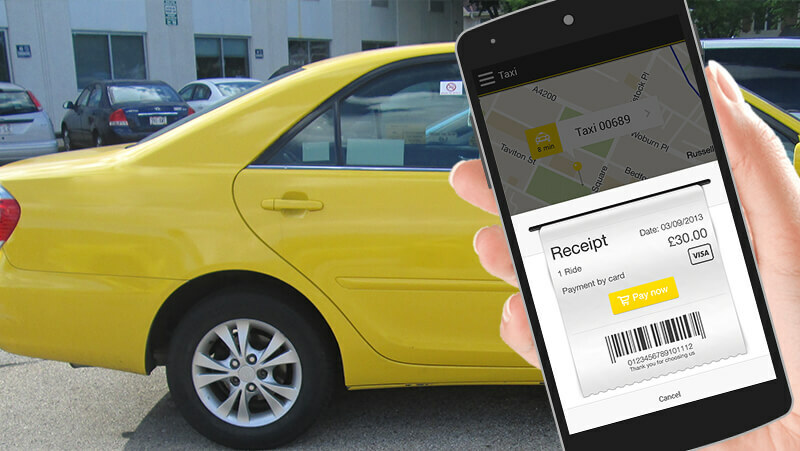 If you want to develop a basic taxi service app then it will cost around $13,000 USD to $22,000 USD. Lastly, it can be said that the cost varies according to the app development company you hire for getting your job done. 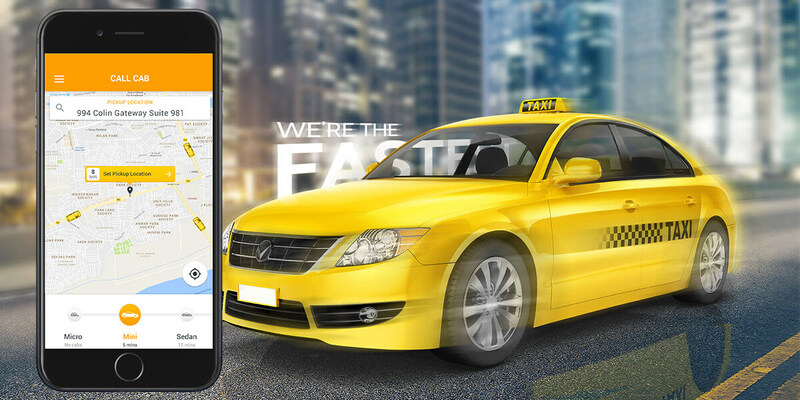 Are you looking for mobile app development company to develop taxi booking mobile app like UBER? Contact us now or email us to get free quote.